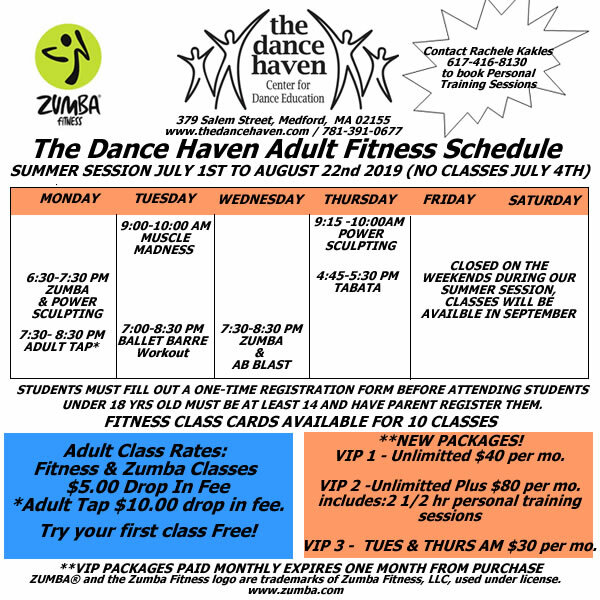 CLICK HERE FOR ADULT REGISTRATION FORM AND RATES. 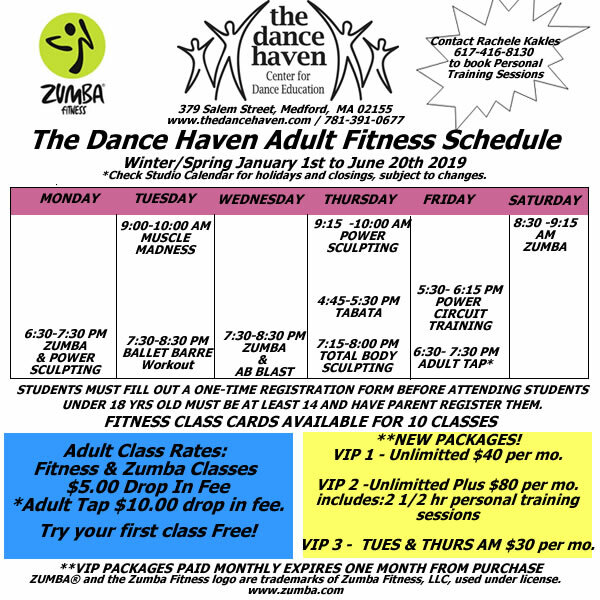 GROUP FITNESS CLASSES" Our group fitness classes offer a variety of classes to help you build strength, cardio endurance and increase flexibility. Whether you are an advid fitness trainer or beginner each class is designed for you to obtain results at your own level. You can also schedule private sessions for one on one personalized training. Drop Ins Welcome! Class Cards and VIP Packages available. Save $5 on your first month when you and a friend sign up together. Power Circuit Training: This 45 minute class is sure to kick your goals into high gear. Combining cardio, strength and flexibility training to upbeat music. This class will help you work on your performance and stability. Take your cross training to the next level and start your weekend off strong. $5.00 Drop in Rate. Muscle Madness: Grab your mat and your water bottle and gear up for an incredible 45 minute total body workout that will build strength and flexibility. Class includes both body resistance training and light weight trainig and is set to great motivationally themed music. You will definitely feel results after each class Drop Ins $5. Power Sculpting: Power Up your fitness goals in this 45 minute sculpting challenge. Set to high energy music this class offers circuit training targeting a variety of muscle groups at the same time. This class definitely will have you feeling pumped up while increasing your strength and endurance. Drop Ins $5. Tabata: Tabata interval training is one of the most effectivetypes of high intensity interval training. This time interval method alternates between 20 seconds of performed work and 10 seconds of rest. Through a variety of simple yet intense excercises each calss will provid noticable results in a short amount of time. Set to fun motivating music this class will enhance your weekly workout regimen. Drop Ins $5.